According to 8fact.com, 80% of girls agreed that cuddling in bed and falling asleep is probably the best feeling in a relationship. Whether you’re a female or a male, cuddling is cosy. It’s warm. Loving. Comfortable. Nice. 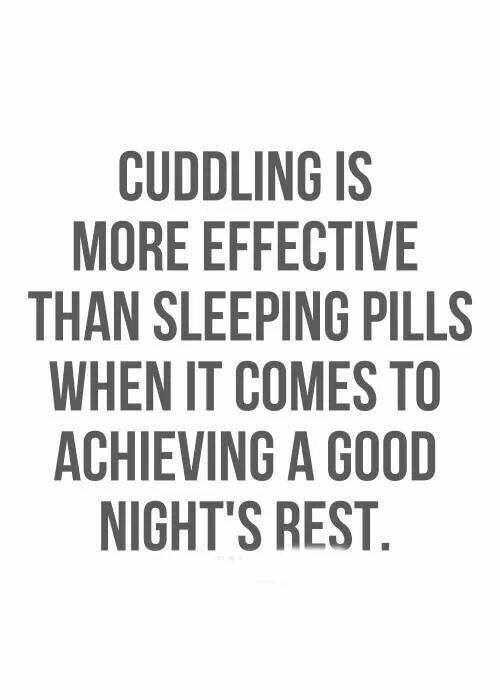 Cuddling is a great concept. But if you’ve woken up with pins and needle in your arm under the weight of your loved one, you will understand that sometimes cuddling isn’t comfortable. Fear not, romantic reader, love will find a way…introducing the LOVE MATTRESS. It’s mattress purely designed with cuddling in mind. Unless you are a design enthusiast, chances are you don’t pay attention to how our culture and way of living influence the appearance of items that we use every day – or every night. Take the humble bolster pillow. Some of us might find it strange to sleep with hands wrapped around a body-length pillow, especially if we have that special someone sleeping next to us. But that kind of pillow is commonly used in many countries, particularly in Asia. The legend said that the origin of Asian bolster pillow is the “bamboo wife.” In the old times when married women had to leave their husbands alone, the wives left a hollow bamboo to hug so that the men wouldn’t feel lonely. Even though today’s bolster pillow is much more comfortable to embrace than the hollow bamboo tube, nothing can beat cuddling all night with your loved one. Unless, maybe, the sore arm in the morning. If you’ve been in that situation, you will know what I mean. If you haven’t, or just want to make sure that we are referring to the same thing, imagine waking up in the morning not able to move your arms without feeling the pain that you know would follow you at least for the rest of the day. What Is The Love Mattress? But what can you do about that pain in your arms? Turn to your partner and say, “Honey, I love you. I want to cuddle with you all night, but I’d prefer to keep my hands intact.” Mmmmm, you’ve kinda lost that lovin’ moment! It’s a modular bed topping designed by Mehdi Mojtabavi to solve our all-night cuddling problems. The design won the 2007 red dot award design concept. His motivation? Love Mattress is designed to provide room for your cuddling hand beneath your partner’s body so that you could embrace each other all night without worrying about having your limbs falling asleep under the weight of your partner. A complete unit of mattress usually consists of two parts: the topping and the base. The top part of the Love Mattress is not solid but slatted. Mehdi Mojtabavi split the mattress – which is made from polyurethane-injected foam – into many thin-long slats, arranged in the X axis (the width) and strung together to form one solid mattress. The slats are designed to be able to bend sideways easily while giving more resistance at the top. The result is the top of the mattress has slits that can move apart and make room to allow hands or shoulders rest between them while still can provide sturdy and comfortable support for people laying on its surface. The designer perfected his product by dividing the mattress into four areas: the header where people usually place their heads, the upper middle where the hands and shoulders are, the lower middle for the rest of the body down to somewhere around the knees and calves, and the footer for the foot. He made the header and the lower middle parts to be solid while the upper middle and footer parts assembled with slats. The footer for the foot. He made the header and the lower middle parts to be solid while the upper middle and footer parts assembled with slats. By dividing the mattress into four parts, the designer wanted to give enough room for you to slide your arms or shoulders under your partner’s body while keeping the number of slats used to the minimum and make the mattresses as sturdy as possible. The designer also gave something extra for those who like to belly sleep to slip their foot fingers between the slats. We know that it’s impossible to satisfy everybody. And when you try to do that, you end up satisfying no one. Every good design always addresses specific problems and sometimes the process comes with compromises. So is the Love Mattress. While the design successfully solves the cuddling problems and gets a prestigious design award while doing it, the Love Mattress comes with several disadvantages compared to ordinary mattresses. The first one is the use of bed sheet. Being a modular design with gaps that can open and close as needed, it’s impossible to use an ordinary bed sheet to cover Love Mattress. The closest thing to a bed sheet that can be used with this kind of mattress is by covering every slat with its own sheet. It’s easier not to use sheet at all as the slats already come with soft clothing as the cover, but if you need to wash the whole slats if you want to clean them. Another really significant problem is the sleeping orientation. The arrangement of the modules makes it that you can only have one sleeping orientation to use the mattress optimally. And the last problem is deformation. As the bed is made of modules of soft materials, and it’s designed not to stay still, keeping the form intact is difficult. For the short term, the bed frame can help the mattress to maintain its shape, but wear and tear will kick in in the long term. Would You Use The Love Mattress? We can’t argue that Love Mattress is an example of creative thinking that tries to solve an old problem that we have since the time human begin to cuddle while sleeping. Despite the new problems that arise with it, we could safely say that Love Mattress has successfully created the solution. Now all that left to do is for us to wait for the mattress to go into mass production before we could buy one. And looking at the enthusiasm that people show all over the (virtual) world, I’m sure that there are many of us that are waiting eagerly for that to happen. May the zzzz be with you!